Well, not everyone would know it was coming up. Some of us need a calendar for that these days. Most board software provides some sort of calendar function. It's useful for alerting members to upcoming baloney. Yep, sure do. Even our old version had a calendar and did announcements for birthdays. I'm not too skilled in word processing utilities, but can at least open them and use a limited subset of the many tools. I didn't know CTRL+B, I'll try working with that. Thanks! You also don't need to hit the light switch to type your BBCode manually. I didn't to bold this, for example. I'm more used to typing with BBCode because I do it all the time. edit: although you can hit the light switch to see what BBCode the editor is applying, since it hides most of it. Ctrl-B, Ctrl-I, and Ctrl-U are almost universal and will get you bold, italics, and underline. CTRL-ATL-DELETE to fix many MS Windows issues. Thanks, guys. I was amazed that I actually did know several of these- CTRL-C and CTRL-V, also CTRL-z undo. CTRL-B, I, and U were semi-new, but are at least intuitive due to the letters that were chosen. Not sure what I did to cause this one. I can manually insert/add BB tags - works fine. Also, I don't see any option to upload attachments. Do you allow attachments? You're in plain text edit mode. There's a little light switch-looking thing in the upper left of the menu bar in the message posting area. Click on that and it will go back to rich text mode. We may not allow attachments here. Most folks use offsite servers these days, particularly for images. I can't remember if we ever allowed attachments, to tell you the truth. I don't use that feature. Yep, click that little Light Switch icon and you will be good to go. Yes, Pastebin, Dropbox, etc. work great for postings for logs, etc. It's in ~the same position as the WYSIWYG Editor on vB. Thank you - clicking the "light switch" turned the editor menu's lights back on! I completely understand the reasoning behind your policy re: attachments (space, space, space!!) & agree with you that numerous viable alternatives exist. Last check showed Sysnative's space utilization well over 2 GB & climbing. Edited by jcgriff2, 10 March 2013 - 08:32 PM. These days, it's not so much space as security. Most hosting companies offer immense space and unlimited bandwidth usage. However there can be serious security issues when allowing uploading of malicious attachment files to the server. Glad you got the wysiwyg editor working. And welcome back to Scot's, John! Here's hoping you'll visit more often. We don't bite really. We do have the occasional flea infestation, though. Eric, we took care of those fleas for good a couple years back. Let's not mention them again... mmm'kay? 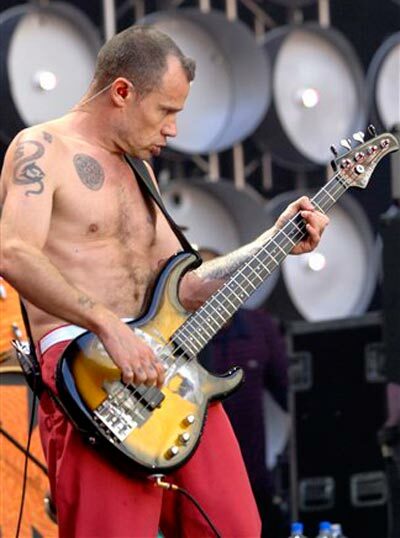 Hmm, he has gotten a bit older since I seen the Chili Peppers in '06. The "My Media" tag also does nothing. Yup. About 7 years older, actually.